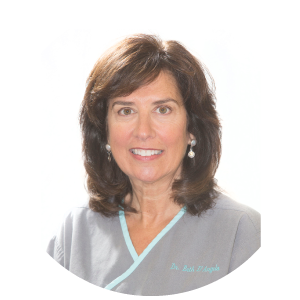 Dedicated to working with patients of all ages to achieve a healthy, beautiful smile, Dr. Beth D’Angelo uses general and cosmetic dental techniques, orthodontics, and preventive care to achieve permanent, impressive results for both children and adults. She also provides Botox and Juvederm treatments, for enhanced facial esthetics. Whether you’re interested in perfecting your own smile or your child’s, Dr. Beth is here to help. A graduate of Colgate University and the University at Buffalo’s School of Dental Medicine, she maintains a position as an adjunct professor in the University’s Department of Restorative Dentistry. She has completed training through the Academy of Straight Wire and Functional Orthodontics, and is a member of the American Dental Association, Academy of General Dentistry, American Academy of Facial Esthetics, American Orthodontic Society and International Association for Orthodontics. She has taken hundreds of hours of continuing education to keep abreast of current dental issues, and how a healthy mouth relates to total well-being. Dr. Beth offers both straight wire braces and invisible braces (Invisalign and Clear Correct), general dentistry, and non-surgical, non-invasive cosmetic treatment of the surrounding face. Dr. Beth loves to cook, and enjoys hiking, scuba, skiing and reading. She joins Dr. Kevin D’Angelo, her husband and dental partner, on charitable dental missions throughout the community, the U.S., and abroad. She is active in her church, and is a volunteer in several community organizations. She and Dr. Kevin have two adult children; a son, who is a dentist in this practice (Dr. Bill), and a daughter, who is a family practice physician here in Buffalo.